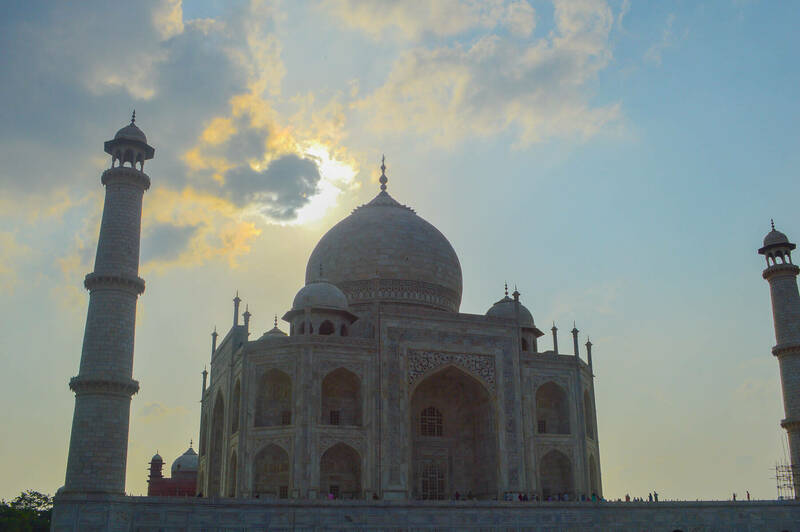 I visited the iconic Taj Mahal in 2015, and although it was only a short year ago since then, I have definitely kindled my love for the planet and all the lies within it. This beautiful world heritage site is something that cannot be missed in any lifetime or visits to India for that matter. It’s big, loud, intense and unexpected. There are a few things that stick in my mind about my time here. Some of which I presumed… and others not so much! Nor really… It’s very busy. So much so that out of the 2 hours that I spent at the Taj Mahal, most of it was spent taking photos with the hundreds of fascinated locals! It was amusing at the time, but it wasn’t a relaxing experience that I was expecting for my visit here. It certainly didn’t take away from the beauty by any means, but it definitely wasn’t something I was prepared for. I guess that’s what happens when you’re a fair skin, redhead, freckly caucasian surrounded by locals that find you completely intriguing. 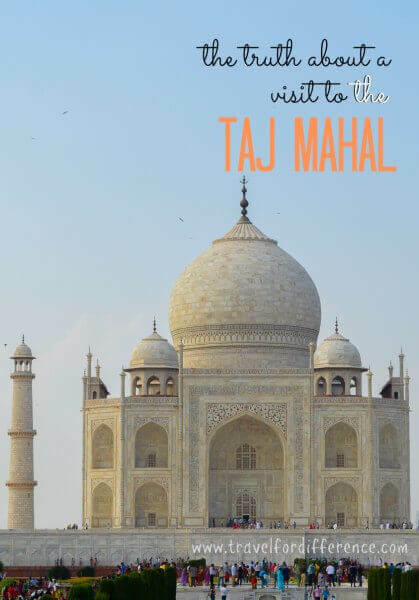 One of the biggest tips for visiting the Taj Mahal is to prepare yourself with ample time to explore! 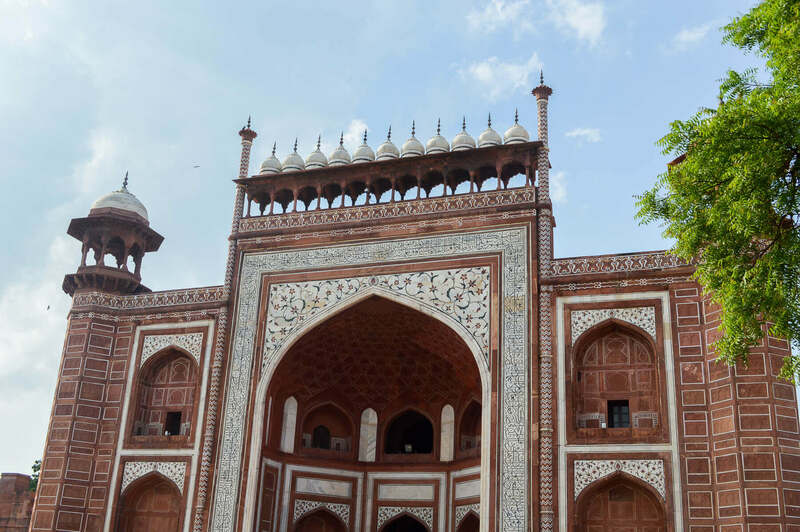 I’m not referring to the Taj Mahal all together, just the actual walk inside the mausoleum… Once you finally get to the entrance after the mile-long queue, you walk inside, walk around through the marble walls like a herd of cattle and out the other side. Everything is identical and of course, it is incredibly beautiful, but it’s not as enjoyable as looking at it from the outside. Don’t get me wrong though, every bit of the experience is worth an enormous amount of attention and appreciation… Although the walk around the tombs is not as enjoyable as observing the building, the grounds and the surrounding river as a whole. 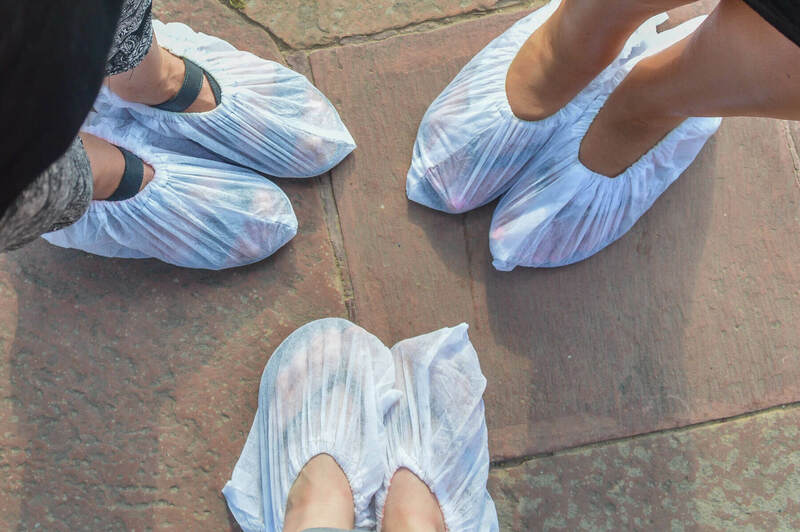 You have to wear papery boots to enter the Mausoleum. This is, of course, no big deal, and correct me if I’m wrong… You can also go inside barefoot if that’s what you’d prefer. When it’s already a 40°C day, it will definitely make your feet a little sticky – But it’s all part of the experience! You’re going to be one of the few people in the world to actually see it. One situation that will stick with me from my time in India, is when a man drove for an entire day to deliver me a piece of handmade jewellery, from all the way back in Jaipur. When the man finally arrived in Agra to deliver my piece, he was surprisingly not annoyed about the long journey he had just endured. 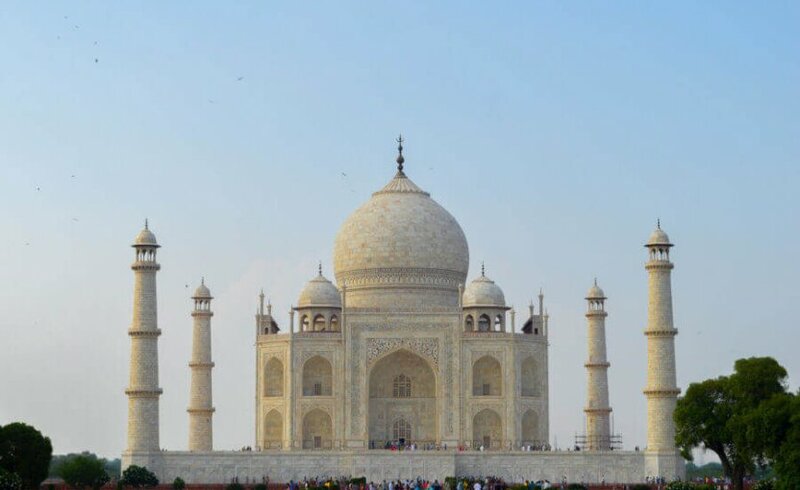 Instead, he was incredibly thankful as it gave him one and only opportunity to finally visit the Taj Mahal, which he had been longing to do for years. If you visit, just remember that you’re incredibly lucky. Not many people in the world actually get to see it; even those who live only a few hours away. The surrounding buildings are almost just as beautiful. The Taj Mahal grounds are huge. Before arriving I was unaware that there were more to the area than just the Taj. The marble beauty is, of course, the centre of attention, but the smaller red stone buildings that surround it shouldn’t be forgotten. Everything from the front entrance, to the intricate details on the red stone show just how much work, was put into the construction. After all… It took 20 years to build. It won’t disappoint. The Taj Mahal is predicted to close within 5 years. 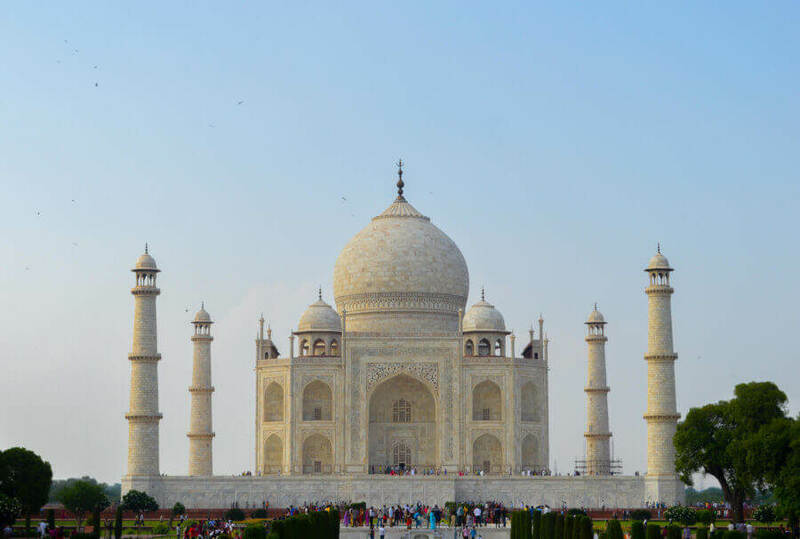 The Taj Mahal construction began in 1631, nearly 4 centuries ago. Although its foundations still seem to be in reasonable tact, there is often a lot of maintenance being done on the structure. Due to the 2-4 million people that visit every year, there is a lot of air pollution that is slowly eroding away at the beautiful white stone and marble surface. It is predicted, although not entirely certain, that the site will be closed to the public within the next few years, to keep its beauty pristine. If this were to occur, tourists and visitors would be forced to view from afar. This was easily one of the most memorable experiences of my life. 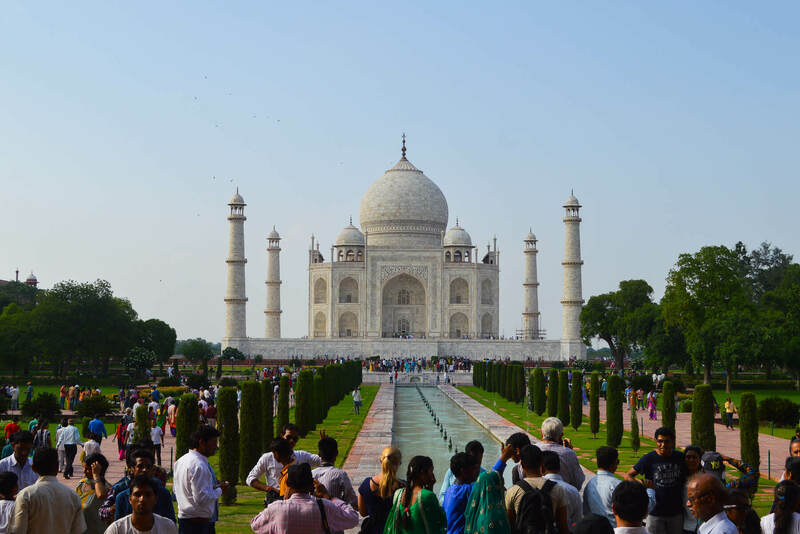 The Taj Mahal is a structure you have to see to truly believe… Don’t be one to miss out!